and knowing that many of you, dear readers, are writers, many with the same concerns about publishing, I post my answer herewith. Now, I don't pretend to be the expert. That said, it's important to keep in mind that major innovations in digital publishing and also in book distribution and fulfillment are so recent, and a-morphing by the moment, that even the experts-- those who've set up web pages and offer to consult or even undertake to do it for you-- may not know that much more than what you can figure out for yourself. Or they may. Caveat emptor. And just try to keep your seatbelt on and your eyes uncrossed. Certainly, you could self-publish your book the old-fashioned way, that is, with offset printing, in which case you would call and email around to printers and get a few estimates… which is a little bamboozling, but Dan Poynter's excellent book explains all about that. If you go this route, probably, if your printer is a good one, the book will turn out looking nicer than a POD and you'll also be allowed a far wider selection of papers, sizing and bindings. But with offset printing, the problem is, well, then what will you do with all the books? Because with offset printing, the per unit cost of a book is a function of the print run-- and any size print run has to cover the cost of just getting the machines up and running and fed with your specially ordered sheets of paper-- so, to make it worthwhile, you'll probably want to do a print run of at least 1,000-2,000 books. Shipping all those books will cost you more than a chunk of change, and all those boxes of books, like an elephant in a coma, will swallow up a heap of space in your basement (unless you want to help your chiropractor buy his weekend house, don't even try to lift them up to the attic). And then, how did you plan to distribute the books and fulfill orders? Assuming you have all the time in your life and the iron-clad personality to play salesman. Uyy. If you go POD, while the per unit cost of printing the book is probably going to be substantially higher, the quality not as good (but pretty good; most readers won't notice the difference), it will be far less expensive for you upfront because you can print only, say, one copy. Or twenty-five. Or 57. Or whatever number you want at the moment, and shipped to wherever you please. Nor will you have to worry about storing them, nor worry about distribution and fulfillment-- if, that is, you use a POD printer that also offers distribution and fullfilment such as amazon.com's CreateSpace. There are many other POD printers, but as of this writing-- September 2014-- hands down, amazon's CreateSpace is your best option. There are several factors to consider, such as cost, customer service, quality, color options, and you can compare and contrast with other POD printers and sellers on a spread sheet… (as did Neal Guillen in his excellent presentation for last years' "Publish Now!" seminar at the Writer's Center), but I am confident you'll come to the same conclusion I did that, all in all, as of 2014, CreateSpace wins. 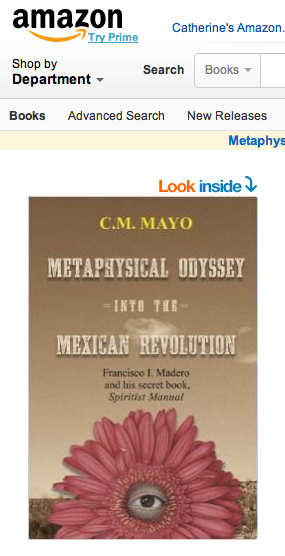 Key thing to know: CreateSpace is owned by amazon.com. 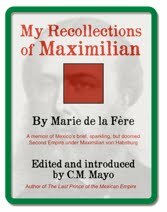 Once you've uploaded your book, at the click of a button, you can list it for sale on both the CreateSpace.com store and amazon.com-- right alongside, say, J. K. Rowling's Harry Potter, or whatever might be best-seller du jour. If someone buys it, whether in the Create Space store or on amazon.com, amazon will print it and amazon will collect the money from the customer, ship it to the buyer, and then deposit your share of the proceeds (which, by the way, is a far better percentage than the typical royalties you would get from a publisher) directly into your bank account. 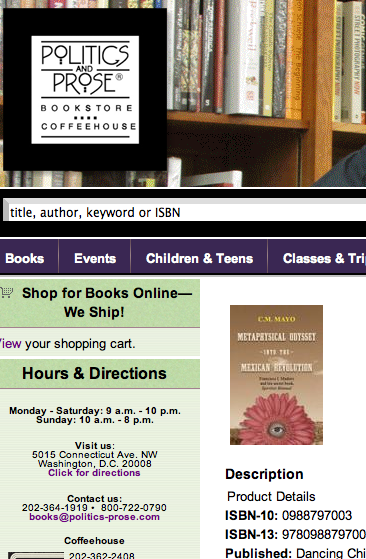 Oh, and you can buy copies of your own book at a discount better than most traditional publishers offer their authors. Is that easy, or what? So why waste your time? WAIT! DON'T I HAVE TO HAVE AN ISBN? 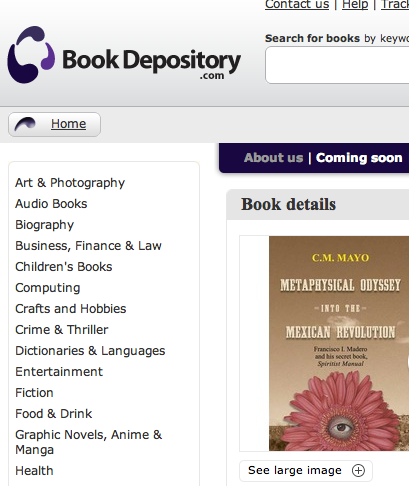 Yes, you do need an ISBN, your book's identifier. 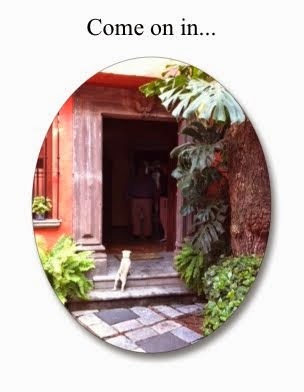 You have two choices: get it from CreateSpace, in which case your book will appear with the CreateSpace imprint, or get it yourself from Bowker, in which case it will show your own imprint (mine is Dancing Chiva). If you go the latter route, you will also need to buy a bar code (pictured left), also from Bowker. Just keep your credit card handy and follow the instructions on their website. AND THEN HOW DO I PREPARE MY BOOK TO UPLOAD IT TO CREATESPACE? Once you've visited that how-page on CreateSpace, you will see that you have the option of delivering a formatted PDF of a file made in Adobe InDesign or paying them a few hundred dollars (very reasonable for this work, by the way) to do that for you. I went and did something a little bit complicated: I rented the Adobe In-Design software, confident that I could format my book myself, since I had been able to format my magazine and chapbooks in ye olde now defunct Adobe PageMaker. I was much too optimistic, alas; Adobe In-Design is a bit like riding a unicycle for a couple of miles. It can be done! But it's not like making a peanut butter-and-jelly sandwich! 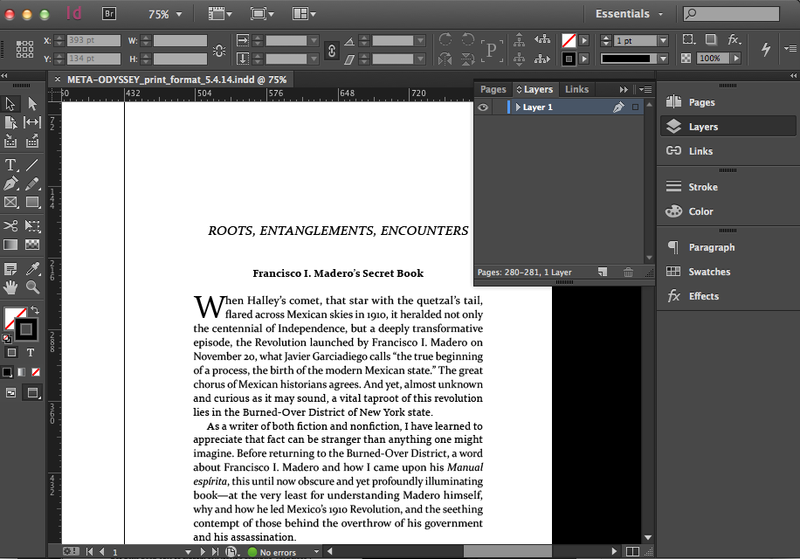 Screenshot of the opening of my book's first chapter in Adobe InDesign. If you zoom in closer on that dashboard, you might get really scared. It does look a little Apollo 13-y. (WHOA. I'M ON THE SHADY SIDE OF 50. I logged into CreateSpace, and when they prompted me to select a file to open, I clicked "browse," and a little window opened up wherein I could scroll down to find, in my own computer, the .PDF file. I clicked on that. Then I clicked on the button that said "upload." Peanut butter-and-jelly sandwich. AND THEN HOW DO I MAKE THE COVER? You can use a template provided by CreateSpace, though in my opinion those look a little well, Createspace-esque. You could also hire a professional graphic designer, which will cost you a chunk of change. I designed mine myself, incorporating a painting by Kelley Vandiver (with his kind permission), my own photo taken with my iPhone of Casa Piedra Road (that's actually in Texas, don't tell anybody), some fonts I purchased from the Walden Font Co., and then I had my elance.com designer do it for me in Adobe InDesign and make the PDF. And I uploaded that. Ta da. 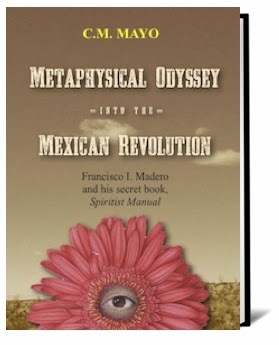 >You can see what my book looks like on the CreateSpace store and on amazon.com. Why not order a copy and then you can really see what it looks like! HOW CAN I GET MY POD BOOK INTO BRICK-AND-MORTAR BOOKSTORES AND LIBRARIES? This is a two-step process. One is easy, the other is a head-banger. Quantities of Kleenex, your choice. 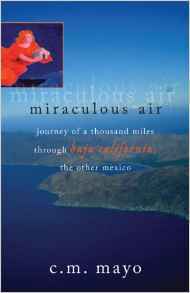 Make your book available via a major distributor such as Ingram. The reason is that there are so many books and so many different publishers out there that it would be a total migraine for librarians and booksellers to have to place so many different orders with different sellers. Instead, it's, wham, Ingram, done. I do not know if my choice was a good one or not (time will tell), but since I wanted to use my own imprint (my own ISBN), not CreateSpace's, CreateSpace did not offer both options. So while CreateSpace does my POD for CreateSpace and amazon, to get onto Ingram I went to Ingram Spark. So Ingram distributes it (which just means they make it available to their customers) and when a bookstore or library orders it, Ingram will print it and ship it to them. Right, my book, same ISBN, is available on amazon / Createspace and Ingram. No problem. And because it is on Ingram it automatically gets listed on major on-line bookstores such as Barnes & Noble and Powell's and a whole bunch of others. I found Ingram Spark a little frustrating to work with because their customer service, though consistently helpful and kind, was not always available by phone, and by email, they often took as long as 24 hours to answer. CreateSpace, on the other hand, had a telephone number I could call at any time and an actual live human being answered quickly, and then actually answered my questions. (Yea, verily, miracles still happen on Planet Earth.) Also, unlike amazon, Ingram Spark charges a small fee for "market access." But in all, the advantage for me of using Ingram is that now I can market my book to libraries under my own imprint, Dancing Chiva. As for brick-and-mortar bookstores, I don't see them being very important for a self-published book on a niche subject such as a mine. (Yours, of course, may be a different case, and you might be willing, as I am not, to visit bookstores and try to sell to them directly.) I am assuming that the majority of my sales will be of Kindles and POD paperbacks via amazon. Yep, it is sad (I play a wee violin): most brick-and-mortar bookstores have already gone the way of the brontosaurus. Furthermore, my understanding is that most bookstores insist on being able to order whatever quantity they want and then return any unsold books-- at the publishers' or author's expense. When you set up your account on Ingram Spark, you can click that option, allow returns, if you so desire. But know that bookstores are notorious for ordering boxes of books and then returning them-- sometimes without even having brought them out of the back room. Oh well, you could click the option "destroy" the unsold books, however many those might be, if you don't want to pay the cost, whatever that might be, of their return freight. As for me, sorry, if you order my books, they're yours. 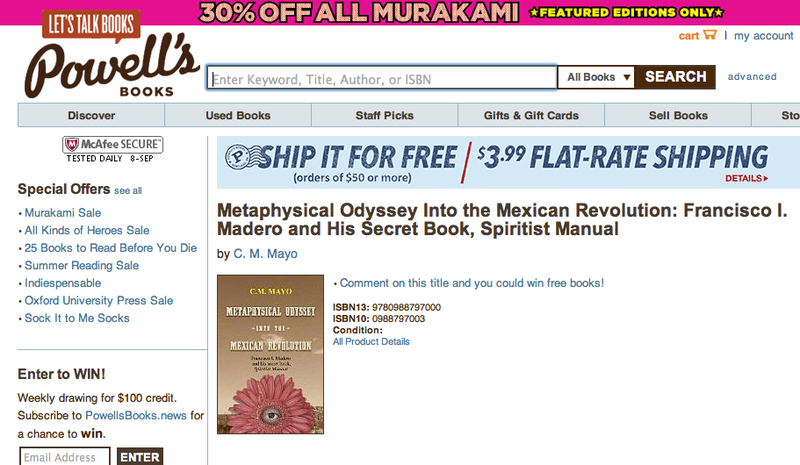 is also carried by the famous Powell's on-line bookstore, double yay! but yay, they're offering my POD! Just because it's for sale on amazon.com doesn't mean any one will notice it, never mind review it, and just because it's distributed by Ingram, huge step as that may be, doesn't mean, abracadabra, it will sell. Marketing a book is a whole different blog post and anyway, I am not the expert, and I am mainly focussed on writing my next book because… that's what I do! 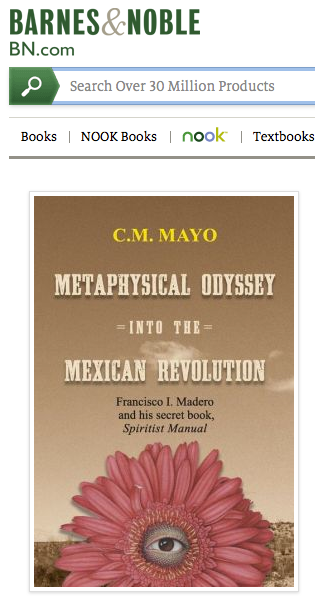 My own rather lazy-daisy, low-key strategy with Metaphysical Odyssey into the Mexican Revolution has been to give autographed copies to selected individuals (if you teach Mexican history, don't be shy, ask me for a review copy here), blog, guest-blog, do a bit of social media, attend and speak at relevant conferences and wherever they'll have me (thank you, American Literary Translators Association, Rice University, and the UCSD US-Mexico Center, and the major book fair about to make an announcement today Texas Book Festival), give interviews (as for example, here and here and here), and do a postcard campaign to U.S. libraries. For postcard campaigns, I can recommend www.modernpostcard.com and renting the mailing lists of libraries available on www.newpages.com. For the latter, hat tip to my fellow Women Writing the West member and very successful self-published author, Susan Wittig Albert, who so generously shares her tips for getting a self-published book into libraries. As they say, aim for the stars and you won't blast off your toes. 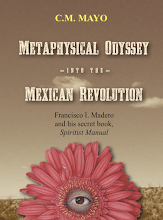 I did aim for the stars with my book, I put my heart into it, and I believe it is a paradigm-changing work on the Mexican Revolution, on Francisco I. Madero, and the history of Spiritism. That said, I take my own advice: As a self-published author, in a world where the big publishers still have the money and muscle, it's best for your Kleenex supply to keep your expectations modest. P.S. 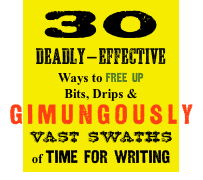 New York Times best-selling author and also, on occasion, self-published author, marketing guru Seth Godin, offers his perennial words of wisdom for authors > here. < After having published nearly a dozen works over the past 20+ years with publishers both big and small, Yours Truly vouches for Mr. Godin's profound wisdom on this subject and, by the by, sends him a cyber shower of jpeg lotus petals. Anyone with a credit card can easily order your book and receive it as quickly as any other book, and if and when they do, you will be paid a very generous royalty by direct deposit in a timely manner. That simple fact is a TOTAL LET'S-DRINK-TANG-ON-THE-MOON GAME-CHANGER. UPDATE 2015. Publishing guru Jane Friedman has a free and very helpful graphic, Book Publishing Path. Highly recommended. Highly recommended how-to book. One excellent tip offered by the authors, Guy Kawasaki and Shawn Welch: stick with 6" x 9" for the size. =====>>> Your COMMENTS always welcome. And I also welcome you to sign up for my newsletter. Excerpts, podcasts, resources for researchers and more, and you betcha, it is available on Kindle, too. +The Manuscript is Ready-- (Or Is It?) -- What Now? 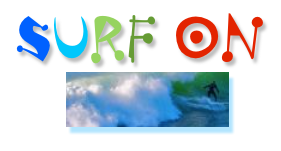 one day only, Saturday, October 11, 2014 at the Writer's Center. 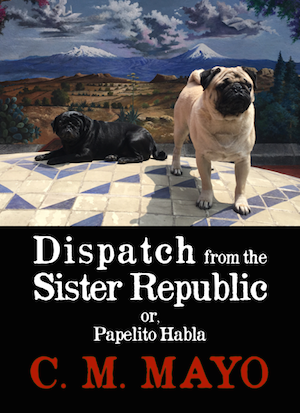 ***UPDATE: >>Listen in<< anytime to the podcast of my talk about this book for the University of California San Diego's Center for U.S.-Mexican Studies.